The owner of the cafe has a four-year old son, Tariku, who like many of his generation, enjoys watching Dora the Explorer. One day, after watching an episode, Tariku said to his parents, ‘who is going to save the pandas? The humans are destroying all the bamboo’ (or words along those lines). Tariku wanted to help. The next day, by sheer serendipity, a notice arrived about the plight of the bears in Romania. Tariku’s parents mentioned to him that they weren’t sure how to help the pandas, but maybe Tariku could help the bears? 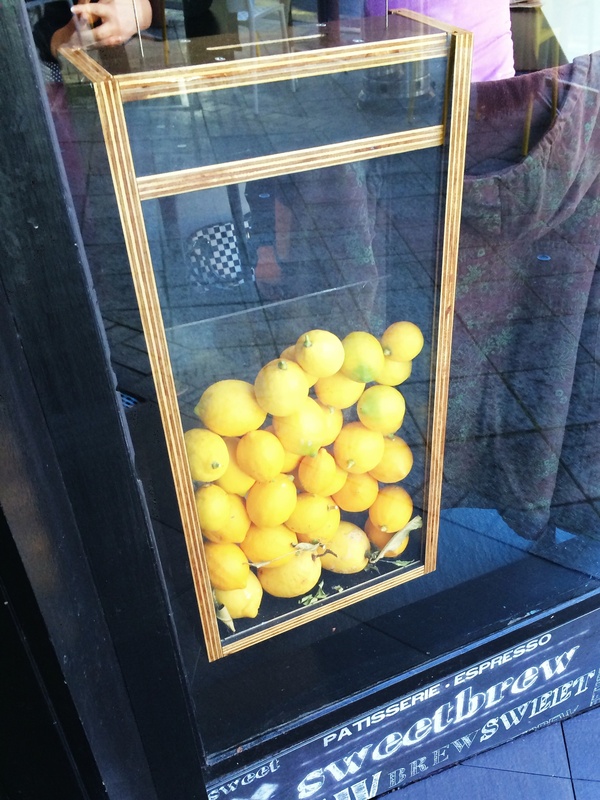 Tariku had an idea, that he could sell lemons from the family lemon tree, out the front of their South Launceston house. He set up his lemon-stand, waving down any pedestrians and cars that passed by. He was going to have to sell lots of lemons because to free a bear, it costs 300 British pounds. Many coins, many donations, and many lemons later, Tariku raised that money, and he saved a bear in Romania. He has now branched out his ‘lemon-aid’ project, to selling lemons in his parents’ cafe, which is what we came across today. 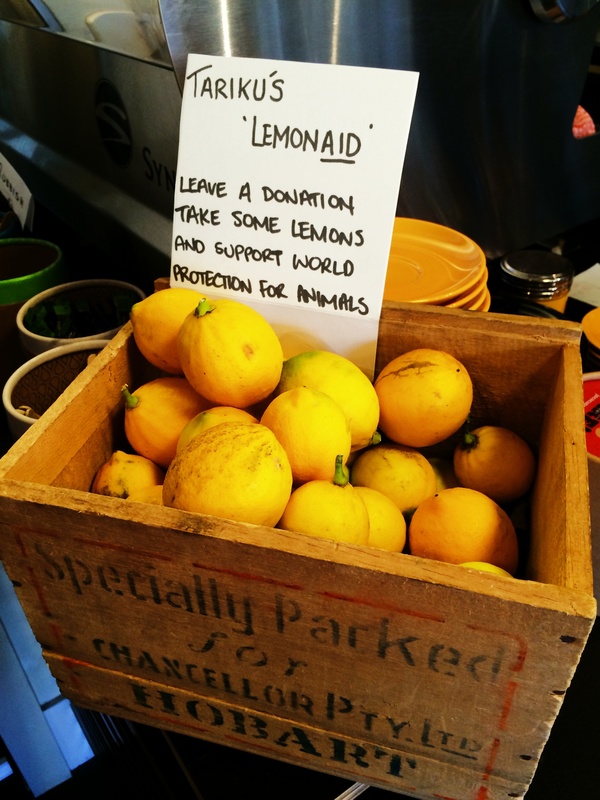 At the cafe, Tariku has arranged for a donation box to be installed at the door for people to leave a donation, and for each donation (no matter the amount), donors get to take a lemon. The donations go to World Animal Protection in the UK and also in Australia. Because the family lemon tree can only produce so much, he now sources ‘supplies’ from friends, neighbours and Sweetbrew regulars. To borrow from his father’s own words — knowing people like Tariku will be in charge of things one day, gives a little hope. 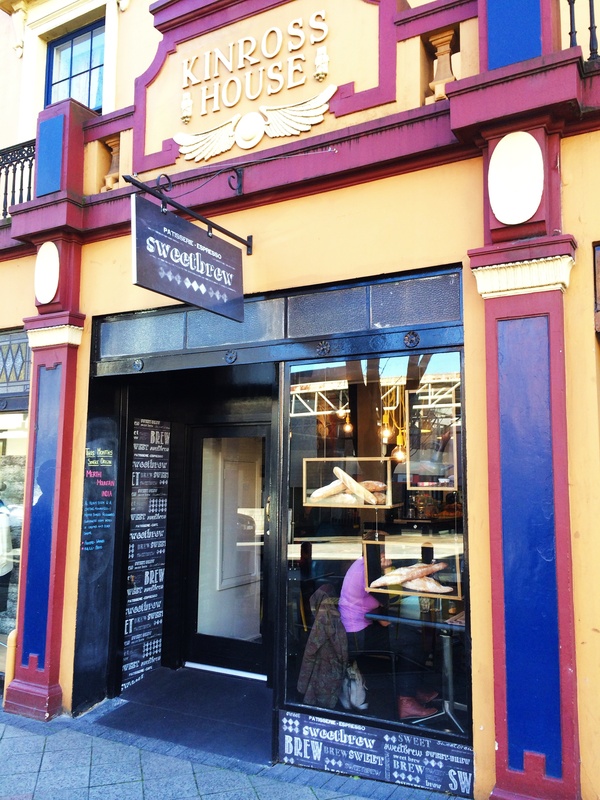 So, if you are ever in Launceston, and not only want to go to a great cafe, but want to help a small boy help make a difference, be sure to visit Sweetbrew, and leave a tip for Tariku and the animals on the way out. 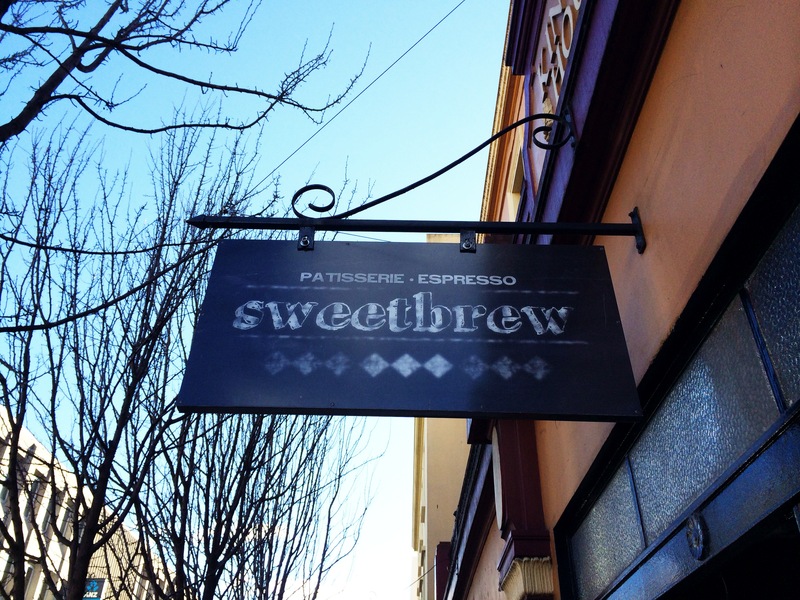 Sweetbrew is at 93a George Street, Launceston.